Folks will often ask me what is the fastest cheap car that is dependable enough to drive every day. 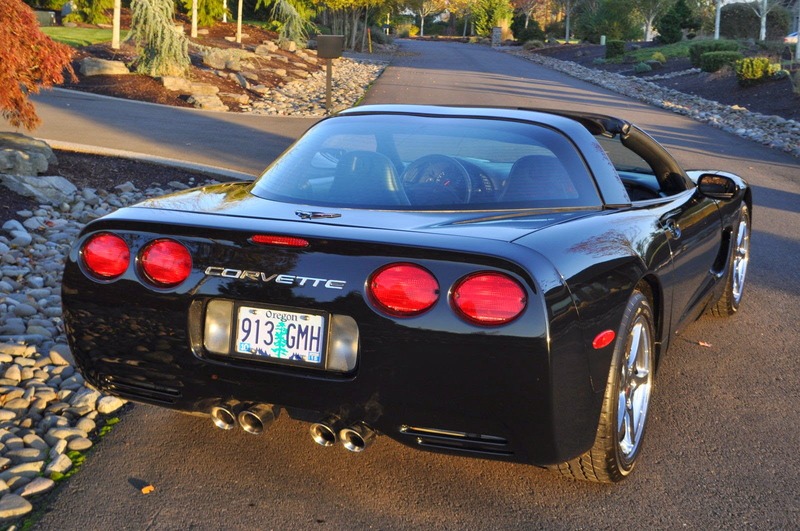 Of course, I want to tell them to buy some V10 swapped Volvo, but the truth is nothing will ever match the factory installation quality and there is no better performance bargain today than the C5 Corvette. If you really want to go fast in a $15k sports car, forget the E39 M5 (it is a muscle sedan) or the E46 M3 (still a sedan, not so fast) or the Porsche Boxster (slooooowww...) -- if you really want to tame the cougar in your inner Ricky Bobby -- get a C5. 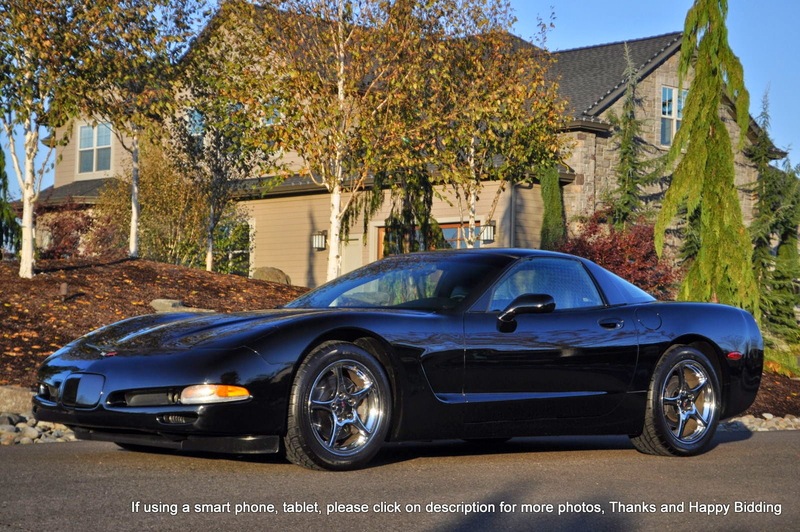 Like this 1997 Chevrolet Corvette C5 found here on eBay , currently bidding for $11,500 with 3 days to go. I could start with the fact that the C5 uses an extremely rigid hydroformed box frame covered with a composite body and a rear mounted transaxle (like a Porsche 928...whoot! ), but it is easier to just say that it is years ahead of the C4 it replaced in terms of build quality, speed and refinement. The interior materials might still look cheap, but it doesn't squeak and rattle like a C4 Shanghai subway train. Oh yeah, did I mention that it is fast...? 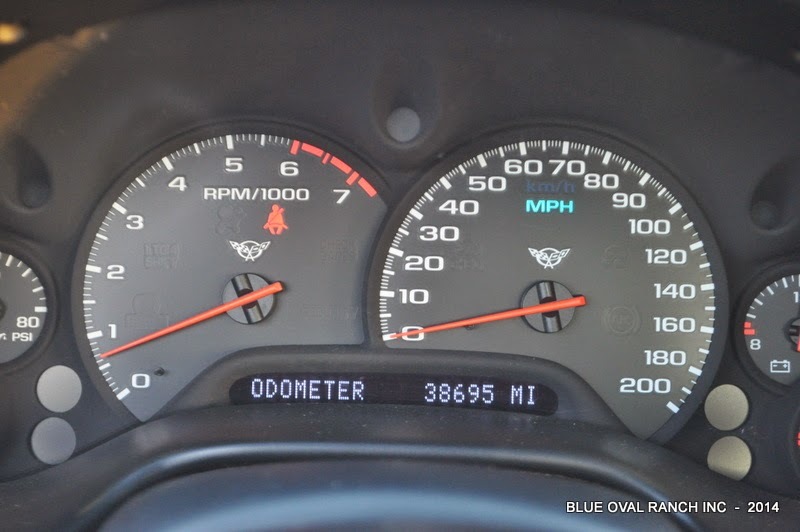 The big gauges in front of the driver move at an alarming rate -- 0-60mph is ticked off in about 4.6 to 4.8 seconds (depending on who/how it is measured) and the 1320 ft mark is reached in just over 13 seconds and top speed is 171 mph. But the C5 isn't just a drag machine, it is a hunkered down apex hunter with a penchant for exceeding the speed limit in the turns. You might recognize the watermark at the corner of the picture; this car is being sold from the same seller of the Porsche 914-8 from the other day -- this guy has great taste! You've probably seen enough LS1 powered Porsches, Volvos, Jags, Mazdas, and BMWs on this site that you'd expect this car should have a Mercedes diesel out front...but that is what an LS1 looks like where it belongs. The 5.7 liter pushrod V8 grunts out 345 horsepower in a 6-speed manual gearbox...wait...DRAT...this one has the dreaded 4-speed auto -- add a few tenths to the specs previously mentioned. Even with the auto, it is still a monster of a car and this one has only 38k miles on the odometer. Ah crap, it's not even a manual. I got excited when I saw it, understandably. This one is a bit higher mileage, but looks decent and is cheap. Plus, if you've been looking to trade in your Prius for a 17-year-old 'Vette, this is your chance! Chrome wrap? Sweet! Why isn't my whole house covered in this stuff? Saw an online video once where they took a C5 Z06 and a Prius, filled them to the top with fuel, and send them on a mixed-driving road course. At the end of the whole thing they went to the gas station and refilled. The Z06 came within 5-10mpg of the Prius I think... That makes it a totally viable choice vs. the Prius in my books. Top Gear did a similar test with a BMW M3 or M5. The Prius was supposed to do some number of laps on their track as fast as it could be driven, and the BMW only had to keep up. The BMW got better mileage. I really like C5 Vettes. I think the C5 Z06 is the best one they ever made. 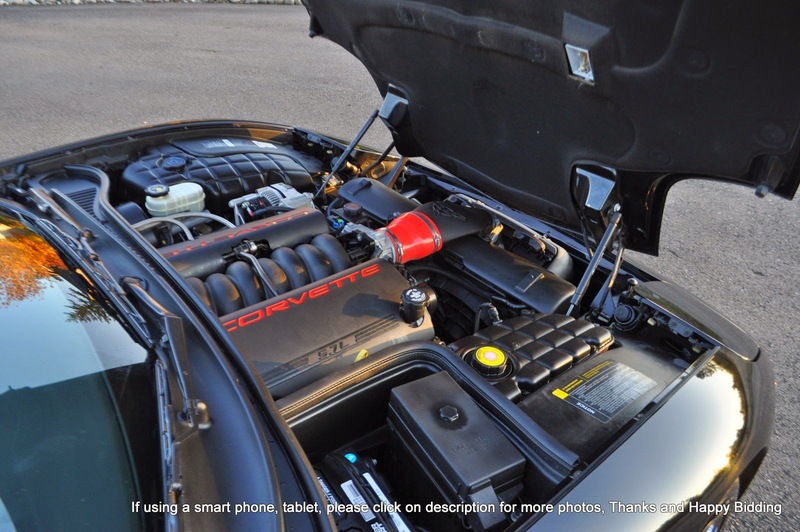 C6 Z06s are more fragile, and they're not all that much faster, once you've done the requisite mods. I saw that one on Top Gear... I like to parade that video out any time one of my appliance-driving friends says the word Prius. It really riles them up. Anyhow, I like the C5 too. It's that sweet spot after the bloated, awful (save for the ZR1 & Gran Sport), smog choked 80's and 90's cars and the still-too-expensive C6. This C5 fills the DT niche price-wise, and looks pretty dang good while doing it. Oh man, I just said a Corvette looks good. My 21 year old self would be so pissed at me right now. 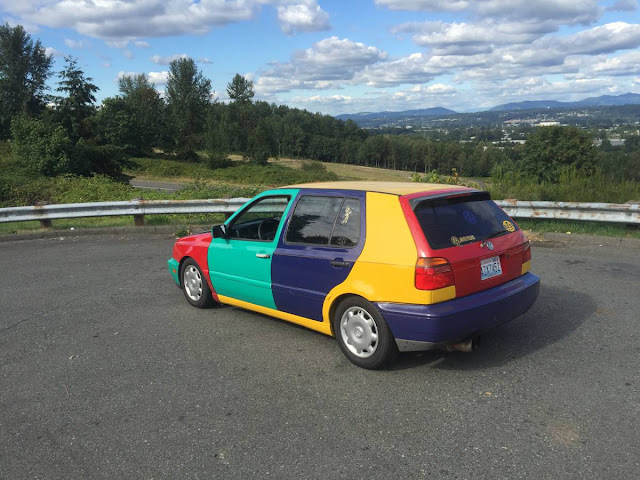 Here's one in Maine with 94k miles for $9,500. Just ignore those wheels.